How Much Fat or Calories Are in a Raw Avocado? Catherine Cox started writing in 1989. She has been published by “Nutrition and the M.D.” and “Consultant” and has written client education materials for health-care organizations. A dietitian and diabetes educator, Cox holds a Master of Public Health in nutrition science from the University of California, Los Angeles. A fruit in the berry family, avocados vary significantly from other fruits in their nutrient content, with the majority of their calories coming from fat. Originating in Central and South America, 90 percent of the avocados eaten in the U.S. today are raised in California; 9 percent are grown in Florida. Ninety-five percent of California avocados are Hass avocados. According to the USDA National Nutrient Database, California and Florida avocados are similar in nutritional value. The California Avocado Commission lists a serving size as 1 oz. ; this is equivalent to 1/5 of an avocado, two to three thin slices or 2 tbsp. of mashed avocado. According to the California Avocado Commission, a 1-oz. serving of avocado contains 50 calories. Of these, 35 calories come from fat. If you eat a larger portion, adjust the calorie content accordingly; for example, half of a California avocado would have 125 calories. There are 4.5g total fat, or 7 percent daily value (DV), in a 1-oz. serving of avocado. The fat content is primarily heart-healthy monounsaturated fatty acids, at 3g. There is 0.5g each of polyunsaturated and saturated fatty acids. Half an avocado would contain 11g total fat, including 7.5g monounsaturated and 1.25g each polyunsaturated and saturated fat. Avocados are trans fat and cholesterol free. The American Heart Association recommends choosing monounsaturated fats in place of saturated fats as part of a heart-healthy diet. For example, use avocado slices or 2 tbsp. mashed avocado in place of mayonnaise on a sandwich. A 1-oz. serving of avocado contains 3g total carbohydrate, comprising 2g starch, a complex carbohydrate. There is also 1g fiber, or 4 percent DV. Half an avocado provides 7.5g carbohydrate and 2.5g fiber. Fiber has many health benefits, including lowering cholesterol levels, maintaining blood sugar control and promoting digestive health. Avocados contain no sugar. There is 1g protein in a 1-oz. serving of avocado, or about 2 percent of the RDA for adult males or females as listed by the Institute of Medicine (IOM). Half an avocado provides 2.5g protein. Protein is important in the body for building and repairing tissue. Avocados contain several vitamins. A 1-oz. serving provides 8 percent of the DV for vitamin K, which the IOM reports is important in blood clotting and bone metabolism. It also provides 7percent of the DV for folate. Folate helps to produce and maintain new cells, make DNA and RNA, make normal red blood cells and prevent anemia, according to the NIH’s Office of Dietary Supplements. It is especially important during pregnancy and infancy. A 1-oz. serving of avocado also provides 4 percent DV for vitamin C, vitamin E and the B-complex vitamins pantothenic acid, riboflavin, niacin and pyridoxine. Vitamins C and E are antioxidant vitamins and play roles in immune function. The B-complex vitamins play roles in energy metabolism, along with other functions. A 1-oz. serving of avocado provides 4 percent of the DV for potassium, a mineral that maintains fluid balance inside and outside the cell. It also blunts the rise of blood pressure in response to excess sodium intake, according to the IOM. 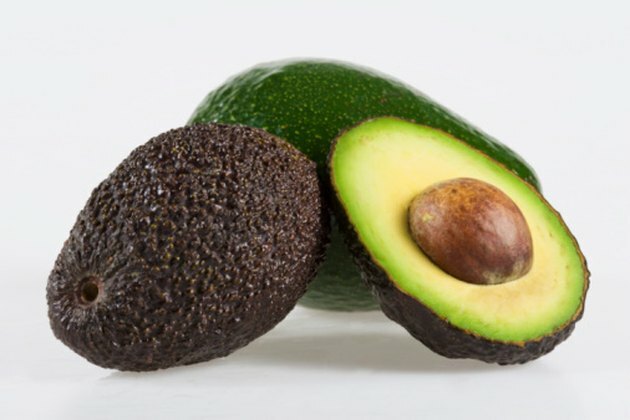 Avocados are sodium-free. Is Avocado Bad for Your Health?